You will find the lease page with grids of information about all Leases or based on the search filters. You also could search leases using our extensive filter options. The 1st filter option allows you to toggle between Tenant Name, Email, and Unit. 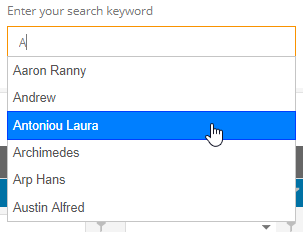 For a more intensive search you could also use the text field to narrow down the results. 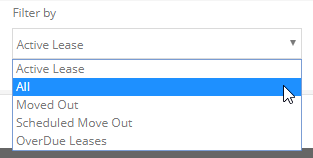 Finally the last filter allows you to toggle around with the options All, Active Lease, Moved-Out, Scheduled Move-Out and Overdue Leases. Finally hitting on "Search" lists down all the results based on your search.